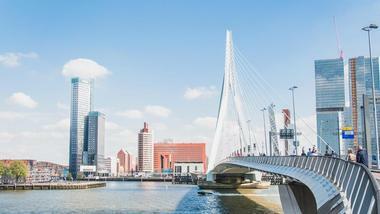 The Netherlands’ second city, Rotterdam, is both innovative and inspiring. The city boasts a cutting-edge design, and iconic architecture. It’s known for its incredible waterways and café culture. Prominent sights include, Museum Rotterdam, Cube House, Het Park, and Market Hall. Located in the Kralingen District, Arboretum Trompenburg is a wonderfully landscaped botanical garden featuring a big selection of trees, bulbs, shrubs, perennials, and tubers. 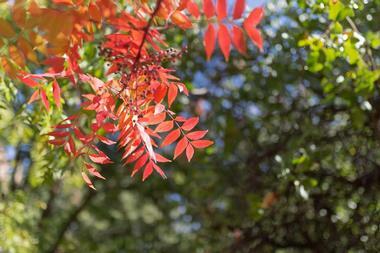 It is an ethereal paradise for plant aficionados and hiking enthusiasts. Visitors can walk through this peaceful and relaxing garden on their own with a paper guide or they can opt for a guided walk with one the arboretum’s tour guides. They offer two styles of guided walks – For Children and Culinary Walks. The latter includes edible and nutritious delights prepared with ingredients from the garden. The former is only available during the summer months. Several notable annual events like the Christmas Market also take place at Trompenburg each year. 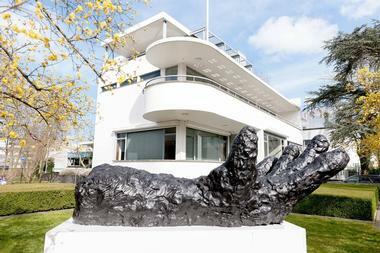 The Chabot Museum was created in the honor of renowned Dutch sculptor and impressionist painter, Hendrik Chabot. The museum, housed in a New Objectivity-style, white, monumental villa created by famed architect G.W. Bass in 1938, features an invaluable collection of Chabot works. He is most well-known for painting landscapes, farmers, and gardeners of the Netherlands, as well as the refugees and people who had to go into hiding during World War II. His collection of drawings, paintings, and sculptures can be separated into four categories – landscapes, animals, figures, and portraits. Several of his contemporaries and present-day expressionist artists are also displayed. Tours are offered by reservation only to groups of 12 to 20 people. Frank Tours Rotterdam is a walking tour company run by Frank, a local of Rotterdam. 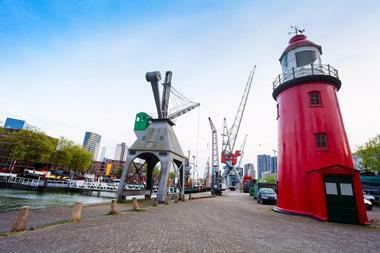 He provides three free walking tours, as well as a specialty tour – Highlights Tour of Rotterdam. The latter is available for a nominal fee and provides a general introduction to the city with insider information. 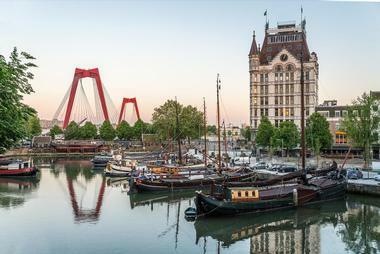 On the Highlights tour, visitors will learn about the city’s roots beginning in 13th century, and the famed Rotterdam Blitz & Reconstruction of 1940s. 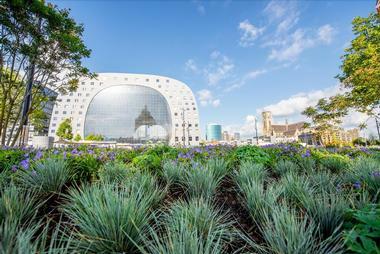 The tour also includes stops at various modern architectural structures like the Cube Houses, plus a stroll through the two markets – the legendary Market Hall, and the largest outdoor market in the city. What is today considered an eye-catching piece of architecture, the Cube House was actually the solution to a perplexing zoning issue the city of Rotterdam faced in the 1970s. Small parcels of land on the southeast and northwest sides of Blaak Street were residentially zoned, but were also somehow required to be connected. The city contracted architect Pier Blom to create a housing complex that resides above the busy road. His design, features 38 standard units and two super cubes. Each of these slanted cubic residences are held up by hexagonal pillars. The Cube House Show Room was converted into a museum, which is open to visitors every day for a nominal fee. 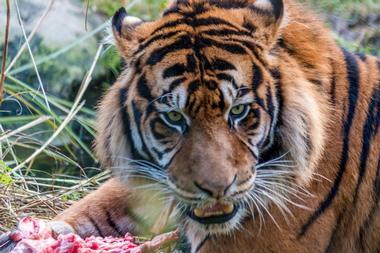 Diergaarde Blijdrop, also known as Rotterdam Zoo, is one of the oldest zoos in the Netherlands. It has been home to various species of plant, marine, and animal life for more than 160 years through its various wildlife exhibits, botanical garden, and aquarium called Oceanium. The aquarium is home to various species of marine life found in the North Sea, Atlantic Ocean, Caribbean, Antilles, Falklands, Galapagos, Sea of Cortez, Californian Kelp Sea, and Bass Rock. Wildlife exhibits are separated into three continents, Asia, Europe, and Africa, and then broken down and displayed by region. Tufted deer, Fishing cat, Finnish forest reindeer, Western lowland gorillas, and Nile crocodiles are just a few of the animals featured here. 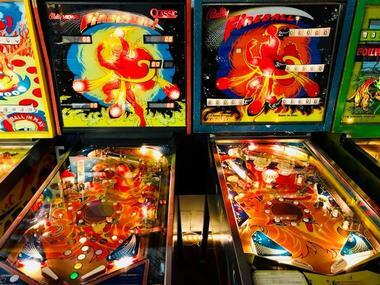 Housed in an old storage house, the Dutch Pinball Museum is filled to the brim with approximately 70 pinball machines and gaming memorabilia from the 1900s to the present day. 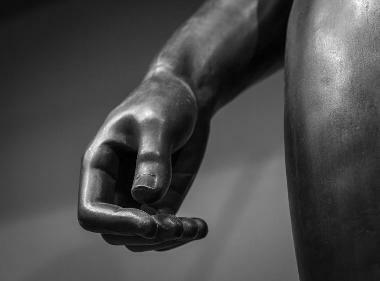 Unlike most museums, the space has a hands-on approach. After visitors pay a nominal fee, they have unfettered access to all the gaming machines. But it’s not all fun and games, the pinball machines are also there to educate. Each one displays its year of production, as well as a few intriguing anecdotal facts about its history. The museum is set up by decade starting with machines created in 1900 and ending with the present year. 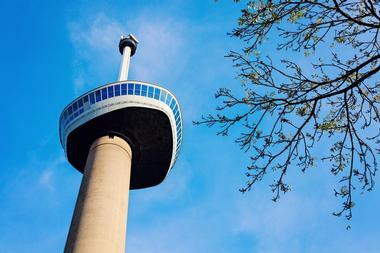 Located in Rotterdam, Euromast is an iconic observation tower designed by renowned architect Hugh Maaskant and constructed between 1958 and 1960. It was specifically developed for the Floriade of 1960 and became a national monument in 2010. It stands at just under 607 feet tall with an observation deck at little over 328 feet that offers gorgeous 360-degree views of the city. There is also a revolving glass elevator that takes people to the top of the mast. On the observation deck there are two hotel suites available for booking, and a brasserie/cocktail bar beneath it for scenic dining. Thrill-seekers can book a weekend trip to zipline and rappel up and down the tower. Grote of Sint-Laurenskerk is a historic Protestant church built between 1449 and 1525; it is all that remains of the medieval city of Rotterdam. At the behest of Queen Juliana of the Netherlands, it underwent a full restoration that was completed in 1968. Its design features include magnificent bronze doors created by iconic Italian sculptor Giacomo Manzu, a vault for Dutch sea heroes, four organs, and several elegant chandeliers. The main organ boasts 7600 pipes, making it the largest organ in the Netherlands. 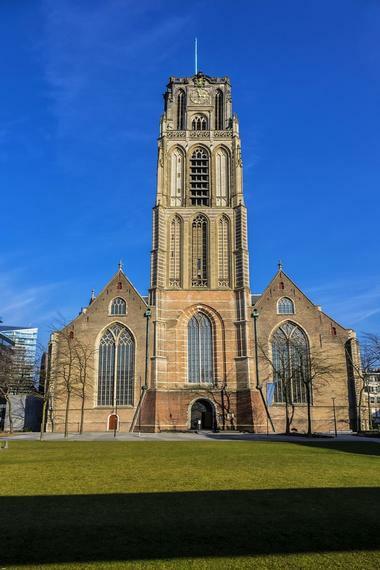 Special guided tours are offered April through October; they include climbing the 213-foot tall Laurenskerk Tower, which offers picturesque views of the city. 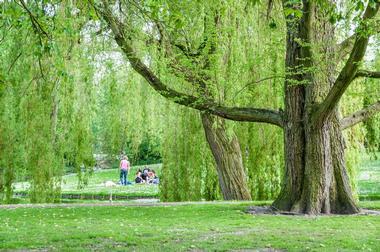 Het Park, the park closest to the Euromast, is the second oldest park in Rotterdam after the Old Plantation. It was designed around 1850 by renowned landscape architects and father and son duo, Jan David Zocher Jr. and Louis Paul Zocher. It has since been expanded and updated several times throughout the years, and was declared a national monument in December, 2010. Het Park boasts several lush themed gardens, memorials, statues, and buildings, including the Norwegian Church built in 1914, Euromast, and Mansion ‘De Heuvel, built between 1750 and 1800. Prominent statues include; Hendrik Tollens built by Jean Theodore in 1860 and Queen Wilhelmina created by Charlotte van Pallandt in 1968. A world-famous example of modern architecture, the Kunsthal was designed in 1988-89 by renowned architect, Rem Koolhaas in partnership with Fuminori Hoshino, an architect from the Office of Metropolitan Architecture. Officially opened in November, 1992, this dynamic cultural institution garnered international attention for its use of innovative materials, steep ramps, and the position of its main entrance. Nicknamed the ‘collection-less’ museum, Kunsthal provides spacious flexibility with its group of halls and galleries that allow for several exhibits and activities to coexist either on their own, or as a unit. Exhibits change regularly but have included Maaskant Drawings, Objectivity: The Art of Useful Things, and Reaction: 100 Years of Kinetic Art. Located adjacent to the open-air Maritime Museum Harbor, and home to an extraordinary collection of historic cranes and vessels, the Maritime Museum Rotterdam is dedicated to preserving and exhibiting naval history. Founded by Prince Henry of the Netherlands in 1874, the museum contains a collection of 85,000 artifacts from six centuries of history. The museum features a diverse range of permanent and rotating exhibits showcasing the Dutch maritime influence on everyday life. Some of their masterpieces include the Mataro model, the Itinerario, pen and ink drawings by Willem van de Velde, and a sea map by master cartographer Joan Blaeu from the Corpus Christi collection. Nestled in the heart of Laurens Quarter, Market Hall is a horseshoe shaped office and residential building with a large market hall underneath and a four-story underground parking lot. A sustainable multi-purpose complex, it was designed by the architectural firm MVRDV using grey natural stone, steel cables, and glass. It is the biggest glass-window cable building in Europe. There are 228 apartments, 1,200 parking spaces, and 100 fresh produce stalls, as well as several food-related retail shops and a supermarket. This covered square serves as a central market during the day and a lively restaurant scene at night. Visitors can take a tour of Market Hall through Makthal Tours; short term apartment rentals are available through Riva Rentals. Open since March of 2007, Miniworld Rotterdam is the biggest indoor miniature world of the Netherlands. This family-friendly attraction takes visitors through an ordinary day of the display’s 27,000 residents. Express trains speeding through their stops, lorries delivering their loads to docks, and residents going about their daily routines can be witnessed before nightfall when thousands of lights illuminate the tiny city. The whole experience from daytime to nighttime takes 24 minutes. Behind-the-scenes tours show visitors the technical operations of the display beneath the layout, how the landscapes and models are built, and how the traffic-control center works. These must-see tours are 45 minutes long. 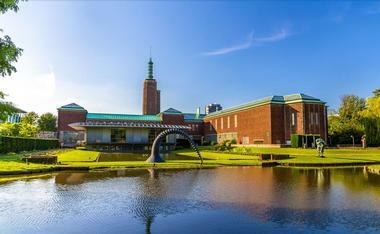 Located in the heart of Rotterdam, Museum Boijmans Van Beuningen was one of the first museums established in the Netherlands. It opened in 1849, and is home to the collections of namesakes Frans Jacob Otto Bojimans and Daniel George van Beuningen. These collections are best known for providing visitors with a comprehensive review of Western art from the present day to the Middle Ages, including the works of Claude Monet, Rembrandt, and Vincent Van Gogh. Other notable artists include Salvador Dali, Wassily Kandinsky, and Edvard Munch. Famous works displayed include The Face of War, On the Threshold of Liberty, and Titus at his Desk. The Natural History Museum of Rotterdam is certainly not the biggest, or most important museum in the city, but families will love this compact museum. Kids and adults alike can learn about the natural world here in a fun way. Both floors of the museum can be toured in under two hours. The audio tour guides you through exhibits and offers detailed explanations and humorous stories. Highlights include complete elephant and sperm whale skeletons, taxidermy animals including a polar bear and a tiger, a collection of mounted butterflies, Fossils of the Netherlands, and Nature in the Big City. 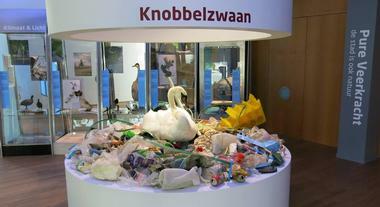 The museum is located in Museum Park along with Musem Bojimans Van Beuningen and Kunsthal Art Museum. Netherlands Photo Museum preserves the Netherlands visual heritage with over 160 historical and contemporary photographer archives. Museum collections include the entire life works of Cas Oorthuys, Aart Klein, and Ed van der Elsken, as well as photos by numerous notable 19th- and 20th-century photographers. Cas Oorthuys’s prolific work of nearly a half-million photos characterized the Netherlands landscape in photos the way 17th-century landscape painters had in earlier days. 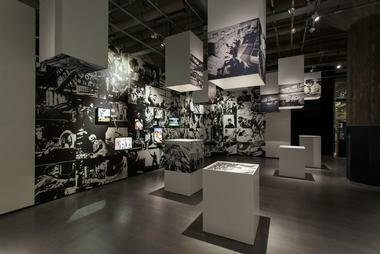 Visitors will find his and other in-house collections among ten annual exhibitions including historical, contemporary, Dutch, and international photographers. Museum amenities include guided tours, free Sunday tours, a coffee bar, and a library. Plaswickpark is an entertaining children’s amusement park best suited for kids 13 and under. The park has an outdoor adventure playground, an expansive indoor playground named House on the Hill, a mini-zoo, plus train and boat rides. This is a park where kids are empowered to freely have fun without the watchful eyes of hovering staff. The boat ride hoists kids backwards up a slope in small plastic boats before sending them flying back down, momentarily airborne, then splashing into the water. The outdoor waterpark alone provides hours of fun. Parents can rest on beanbag chairs watching kids explore indoor play areas, including a huge sandbox, giant connecting blocks, and a climbing area. Visitors to Rotterdam will discover a unique view of the port city from the water on the ultra-modern Spido B.V. With indoor viewing through floor-to-ceiling windows, and additional outdoor observation decks, there are no bad seats. The 75-minute tour glides through Rotterdam’s container port providing exhilarating views of the busy port and the impressive city skyline. Informative commentary is provided in four languages. Amenities include a small restaurant and bar. Highlights include Erasmus Bridge, Holland America headquarters, SS Rotterdam, and fabulous scenery. Visitors should bring a jacket, especially if they plan to ride on the top deck where the wind off the water is pretty chilly. 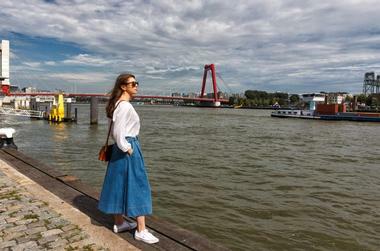 SeeRotterdam provides visitors with up-close-and-personal tours of this magical port city. These enthusiastic guides lead both bike and walking tours, answering the questions visitors are dying to ask, and providing insider tips on the best of everything. 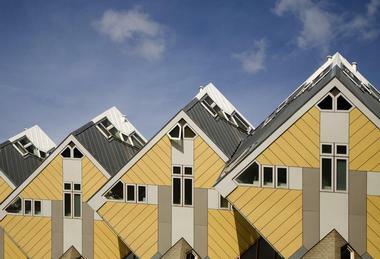 Guests learn about Rotterdam’s amazing architecture, intriguing history, and best hotspots. Tours include the Highlight Bike Tour, Harbor Bike Tour, and Highlight Walking Tour. Visitors can choose a group tour, solo or couple tour, or any size private tour customized to taste. 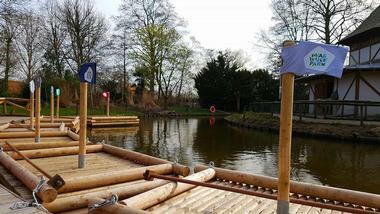 There are also two combination tours – the Highlight Bike Tour + Euromast, and the Highlight Bike Tour + Spido Boat Tour. The Giant of Rotterdam is a bronze sculpture by artist Herman Lammers. Unveiled in 2011, the statue depicts former Rotterdam resident, Rigardus Rijnhout, named the country’s second-tallest person in history. At 7’ 6.5”, Rinhout grew up in a poor neighborhood where his family struggled to feed him. The 500-pound man, who wore size 29 shoes, sometimes worked as a walking advertiser carrying signs, a precursor to today’s sign spinners. Visitors will find the sculpture in a small park, five minutes walking from Central Station. Rinhout’s family home, now a Chinese market, is nearby. It still has the same oversized door customized for him years ago. The Secrets of Rotterdam’s City Center is part of the world’s SecretCityTrails that help visitors discover the secret side of popular cities across Europe and beyond. In the case of Rotterdam, the game was developed by locals Pim and Terry. Travelers to Rotterdam will discover quirky streets, colorful street art, and the city’s hidden spaces. 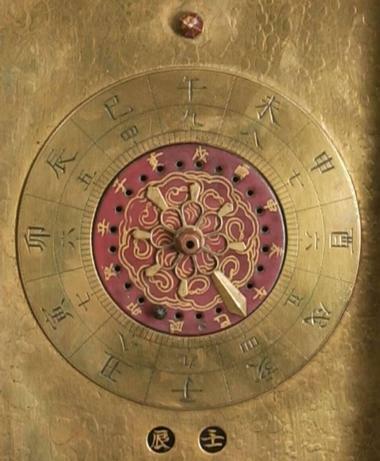 The game has participants solve 16 riddles over approximately two to three hours, while learning interesting stories and gaining valuable local recommendations. Players have a week to complete the game, pausing and restarting at will during that time. The game starts at Rotterdam Central Station and continues to Witte de Withstraat. Games accommodate one to five players. Rotterdam is the Netherland’s architectural capital, and its city is an education in architectural styles. 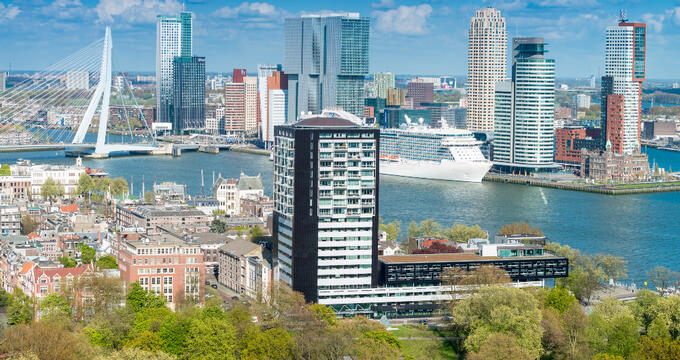 Walk Rotterdam provides visitors with informative walking tours that focus on the history, architecture, and character of the city. Walks are led by local architects and are best suited for foreign visitors, art enthusiasts, and architecture buffs. 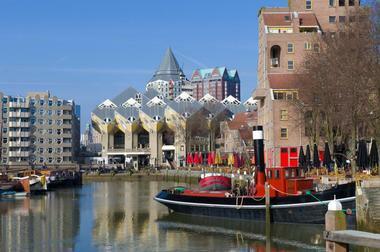 Walk Rotterdam offers travelers four choices – Walk Center, Walk South, Photo Walk, and Art Walk. All tours are between two and 2.5-hours long, except for the photography tour, which is co-led by a professional photographer. It’s four hours long, giving tour participants enough time to take photos along the way. Wereldmuseum believes that no matter where people live in the world, they all have the same life questions. That idea of universality is what drives this museum. Visitors will discover the human stories behind an extensive permanent display of objects, as well as in changing exhibitions. Stories about human experiences of celebration, conflict, mourning, prayer, and ornamentation are represented in objects from around the world. The Our Story exhibition offers visitors an overview in 30 objects from around the world of what to expect from their museum experience. Museum amenities include a restaurant, museum shop, and full accessibility. 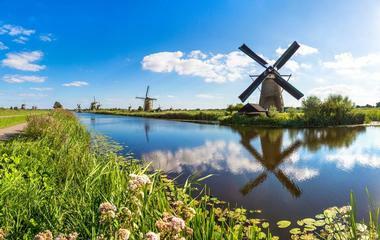 Windmills of Kinderdijk are a network of 19 18th-century windmills with three pump stations that are part of an impressive water-management system in the Netherlands. Located in Kinderdik village in South Holland province, the combination of windmills, pump stations, reservoirs, and dikes control low-lying flood zones in the country. The masterful system is such a great contribution to the world that it has been named a UNESCO World Heritage Site. Visitors to Kinderdijk will find hiking and biking trails that offer picturesque views of the working windmills, plus a Visitors Center and museums dedicated to the windmills. Witte de With Center for Contemporary Art is dedicated to the cultural makers and visual artists of today from the Netherlands and around the world. Long-term contemporary exhibits reflect contemporary topics like Rotterdam Cultural Histories, The Humans, Kunsthalle for Music, and The Ten Murders of Josephine. 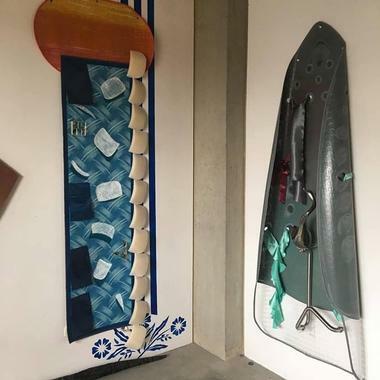 Temporary exhibits range from solo artists like Ana María Millán to group exhibitions like one featuring eight contemporary artists including Wu Tsang and Dora García. 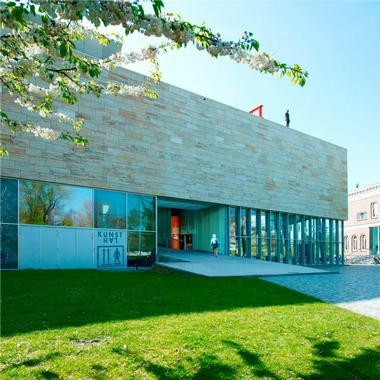 The museum is open to the public Tuesdays through Sundays, and Friday evenings are free. Tours for one or more visitors are also available with a reservation.